Hailing from Thiruvananthapuram, Russel had quit his job in the corporate sector and to do odd jobs to understand the problems faced by the common people. Among the top political leaders contesting from Karnataka's Bengaluru Central Lok Sabha constituency comes a common man to fight against the political tyranny and corruption. It might come as a surprise that Jenifar J Russel, a food delivery executive for Swiggy, is also contesting from the constituency as an independent candidate. The 38-year-old has done many odd jobs before marking his political debut against the top shot leaders in Bengaluru with his election symbol as a dish antenna. 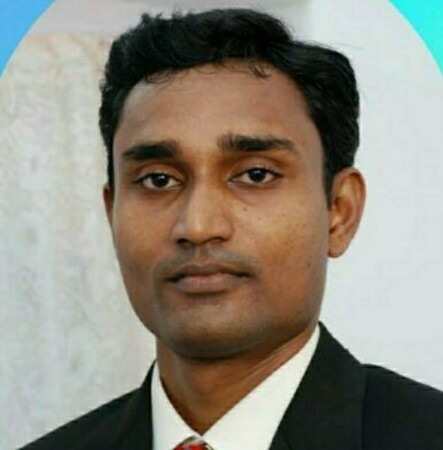 Hailing from Kerala's capital Thiruvananthapuram, Russel had quit his job in the corporate sector as a telecom engineer and took a different path and did odd jobs to understand the problems faced by the common people. According to reports, Russel took a break in his career and started doing low-profile jobs, including working as a traffic police warden in the Kerala Police for a few months in 2015 and also as a cab driver with Uber. "Since November, I have been working as a cab driver to travel across Bengaluru. I could understand the problems of the common man, like a driver. Earlier I used to make fun of Swacch Bharat and other such schemes. But then I realised how we need it so much. We require many more toilets and where we have toilets, we need to maintain them in a better way," Russel told The News Minute. Russel wants to fight for the common people and destroy corruption that has affected the very veins of our system. He has not joined any political party nor has made an alliance. He said that he joined the food delivery app to reach out to the people and understand their problems, especially the youngsters. Russel started his election campaigning in November 2018 and as its first step, he started distributing pamphlets with a list of promises to every voter that he met on his journey including his Uber and Swiggy customers. But would this election favour Russel against the top shot candidates like Rizwan Arshad of Congress, actor-turned-politician Prakash Raj and Bharatiya Janata Party (BJP) candidate PC Mohan? Guess we will have to wait and watch.